Hi, I am Dawn, A.K.A. the Domestic Demigoddess. I am a stay-at-home mother and wife, and I cherish every exhausting moment. I have an amazing, supportive husband and we have 3 wonderful children. I am also the mom to 3 furbabies, a German Shepherd and two Siberian Huskies, one of which is a wooly coat. Two of our children are special needs, both with complex partial epilepsy. Our son, who is over 16 and has yet to be able to even get his learner’s permit. His epilepsy has caused permanent damage to his left temporal lobe and he also has damage to his frontal lobe which causes processing issues. His epilepsy caused him to miss his entire Sophomore year of high school, but he never gave up. He returned to school, is a percussionist in band, a member of the National Honor Society and an officer in F.B.L.A. One of our daughters, along with her epilepsy, also has severe A.D.H.D. on all spectrums. Despite her challenges, she is in the gifted program in middle school and is currently on the “A” Honor Roll. Her twin sister is also on the “A” Honor Roll and is a member of the National Junior Honor Society, which is the middle school version of the National Honor Society. I am an avid digital scrapbooker and a fledgling designer. 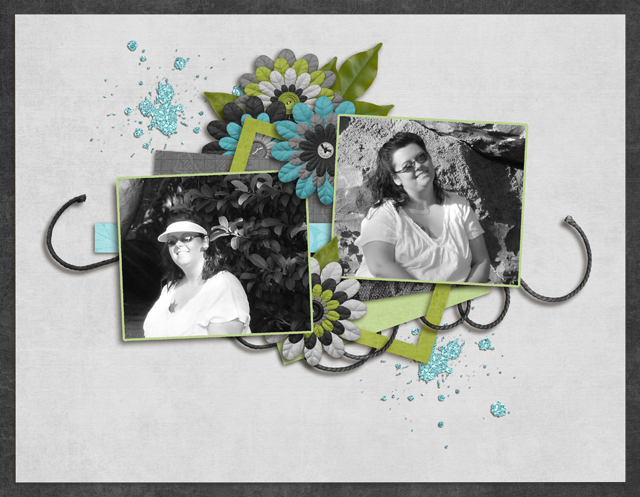 In the digital scrapbooking community I am known as ColorMeScrappy. I would love for you to visit my scrapbooking blog .